Seoul: Samsung Electronics , the world’s top TV maker, is in last-stage talks with Google to roll out its Google TVs, the head of Samsung’s TV division told reporters on Tuesday. Google TV - which currently comes built-in on certain Sony Corp television models and on Logitech International set-top boxes - allows consumers to access online videos and websites on their TVs, as well as specialised apps such as video games. Yoon Boo-keun, president of Samsung’s TV division, said the company planned to unveil its Google TV at an event next year without elaborating on the schedule, saying only the firm was working with Google on the rollout. 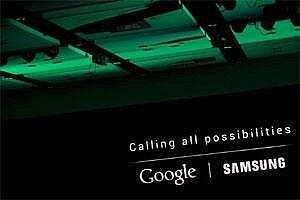 Samsung’s Google TV service would differ from those of competitors, he said on the sidelines of a local forum. Google in October unveiled a revamped version of Google TV service, hoping to making inroads into the living room despite consumers’ lukewarm reaction to its initial offering. Yoon expected the global flat-panel TV market to grow by about 10% next year despite economic uncertainty, helped by sales growth in internet-connected TVs and replacement demand. He also said Samsung was looking to outperform the market next year.